Risper A. Opiyo is the Founder and CEO of BINTI AFRIQUE, a beauty and cosmetics company. 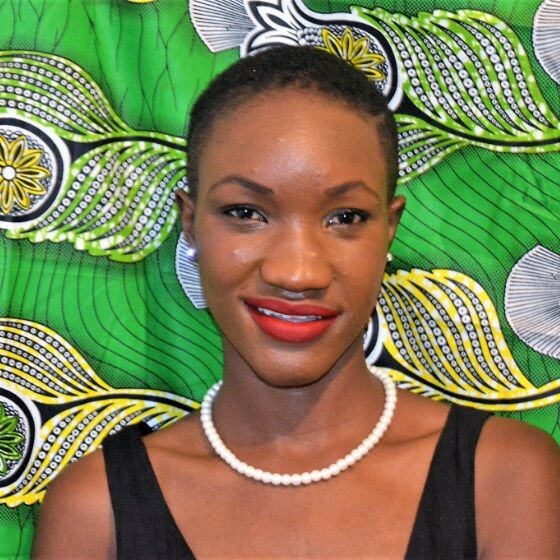 Born and raised in Nairobi, Kenya, she is a budding entrepreneur currently pursuing a Bachelor’s Degree in International Business Administration at the United States International University Africa. In this exclusive interview with Alaba Ayinuola of Business Africa Online, Risper shares her passion for fashion, entrepreneurship and how her brand is impacting her community and her plans to penetrate the East African market with her products. Excerpt. Alaba: Kindly tell us about your business and the role you play. Risper: I had great passion for fashion and started BINTI AFRIQUE. I did most first runway show in MARCH 2015 and that’s how my entrepreneurial journey started. I have been on and off the runway and in 2018 I opened up a beauty and cosmetic shop with little savings that I got which was hardly enough and I had to raise the funds on my own. I had run out of options I tried borrowing from friends and family only to end up being ignored. I felt deeply hurt but I didn’t give up. My role as a CEO is to allocate capital for the business operations and this is one hectic affair. Most banks are afraid of putting their money into startups and the whole process is like climbing Mount Everest. Apart from raising capital, my job is to make sure the products are 100% natural and do what they are meant to do. I also have to set strategy and direction for the company and model the company’s structure. Alaba: What was your startup capital and how were you able to raise it? Risper: I invested $375, funds that I got from my mum and uncle in the name of school project. This were funds for the fashion label and in 2018 when I opened the Beauty and cosmetics shop, All attempt to borrow money failed and I kept asking myself what shall I do? A few days later as I was heading home, I came up with a great idea on how I was going to raise funds in order to purchase stocks for the beauty shop, I started a self˗help savings group for small business within my neighborhood. I approached 20 small business men and women who were just shopkeepers, cyber café owners, boutique owners and other ran small restaurants. I sold them the idea of us putting our money together that $2 per day and within 7 days we give it to one member until the whole rotation was complete. Luckily for me 15 agreed and the total amount I got within that week was $210. With this sum, I was ready to take over the world. The business started picking up slowly then all of a sudden the government banned the use of some cosmetics body creams, soaps and lotions which were proved to contain traces of mercury and hydroquinone which may lead to skin cancer in the long run. I and other beauty business had no other choice but to dispatch those creams as fast as we could or else we could face a long jail term or even risked paying a huge fine. Day after day customers came streaming in and were asking for better substitutes for the harmful creams they were using and I had to do a research . This was where I saw a great opportunity right before my eyes and grabbed it with my own hands and ran with it. My idea was to make the best alternative body cosmeceutical creams using organic ingredients. And there LUXE INDULGENCE BY BINTI AFRIQUE was born. Our first generation products have been luxurious Face masks, Beauty soaps, whipped body butter and chebe hair products. Our products helps in solving beauty problems like pimples, acne, rashes, uneven skin tone, dark spots and age spots. Also we offer solutions for hair loss, thin hair and hairline problems which millions and millions of African women are seeking solutions for. Alaba: What are the challenges and how are you overcoming them? Risper: This challenges started while I was growing up. I was raised by a single mother after the death of my dad in 2002. It was a struggle seeing us through school but I was determined to leave a legacy behind. This kept pushing me forward to being a better version of myself. The company has faced so many challenges just like any other. Lack of enough capital is a great pain in the neck as it always slows down the business. Sometimes compensating my team is a problem and at one time this shook the stability of the company. I had to think outside the box and wrote an agreement that the team will be paid 30% commission on every sale they make as the company cannot still forfeit salary yet. Another challenge is that the market is super saturated with well-established and upcoming competitors who slightly under price the products and this gets so frustrating. However, we are doing research and developing our “hero” product something that the market would love. Another notable challenge is limited working space and warehouse. We operate our business at my mum’s small backyard as it is rent free but comes with lots of limitations in the production process. Alaba: How is your business contributing to the development of Africa? Creating jobs for the youth. Unemployment is a crisis in Africa and we have more jobless graduates coming into the job market every year. In Kenya alone we have 4.3 million unemployed graduates between the age of 21 to 35, this is according to Kenya integrated household budget survey. We have employed 3 hardworking youth who are part time students. Africa needs more job creators than job seekers and if we could push and squeeze the Entrepreneurship narrative into the Education system right from elementary school, then unemployment rate could soon trickle down. Alaba: What’s your view on the development of Africa business ecosystem? Risper: My view on the development of AFRICA BUSINESS ECOSYSTEM is that for business to thrive and Africa to thrive, we need to squash all the trade barriers within the region and to implement the use of a single homogenous currency within the continent. With this currency Africa will stop relying on foreign currency for development and trade. Imagine Africa with free movement of persons, capital, foods and services. At the AFRICA E˗COMMERCE WEEK 2018, organized by UNCATD, where I was a delegate, a lot has to be done for Africa to realize its development growth in line with Agenda 2063ː The Africa we want. First of all, in order for us to trade we need to produce. We have to improve our productive capacity, physical infrastructure as well as interconnectivity before we can expand digital trade. If we do not do these, we will still be open and aggressively relying on more imports from outside our continent .this in turn destroys jobs, decimate MSMEs and distort development. Alaba: Where do you see your business in 5 years and what steps are you taking to achieve them? Risper: In 5 years’ time I see BINTI AFRIQUE making its foot print in East Africa, supplying our products to Tanzania, Uganda, Rwanda etc. as the East Africa Community will be one single trade block which will ease trade among its country members. We will also launch our organic cosmetic line consisting of natural lip balm, lipsticks, pressed powder and face foundations. The steps that we are taking to achieve these are, looking for an investor who will be willing to come in and share his/her expertise, network and of course the funds that will stir the company in the right direction and achieve its full potential. We are working on online campaigns that create awareness on the dangers of using cosmetics products which are made from chemicals and to telling the consumer on the best alternative which are cruelty free. We want to constantly innovate and embrace Artificial Intelligence in every aspect of our business. Alaba: What advice will you give prospecting entrepreneurs who intend to start a business or invest in Africa? Risper: The advice I would give to potential entrepreneurs is entrepreneurship is not a get rich quick scheme. You do not plant a seed and expect to eat the fruits that same day…you have to exercise patience, persistence, constantly innovate and adapt to the shifts in consumer attention. Alaba: What inspires you and keeps you going? Risper: My inspiration comes from our continent AFRICA, we got a great potential that most of us do not see. By 2050 our population is projected to grow from 1.2 billion to 2.2 billion. Africa is a young ‘nation’ with untapped resources and potential, if only we could get the kind of leaders who are passionate enough to drive the continent into being a powerful global economy we would be talking of different story right now.. if we didn’t have the potential, global companies like google, Facebook etc would not establish their base here and china as an investor would not have spent a dime on this continent. Alaba: How do you relax and what books do you read? Risper: I take a day off my week just to go for nature walks in the park and visualize my week ahead and meditate on my present and future. I also love reading motivational and inspirational books written my renowned business men. On top of my list is Rich dad, poor dad series books by Robert Kiyosaki, I am a fan of Donald trump and have read his books too. Currently I am reading Girl wash your face by Rachel Hollis and looking forward to reading Becoming by Michelle Obama. My name is RISPER ACHEING OPIYO, born and raised in NAIROBI, KENYA. I am 26 years old and pursuing a Bachelor’s Degree in international Business Administration at the United States International University Africa. I am a budding entrepreneur and a passionate youth leader. I have always been a book fan and that is why my educational journey has not been that tough. My achievements so far include, starting INUA FUNDI initiative meant for the Kenya fashion industry which aim was to put funds together and be able to boost individual talents and later on opened our doors to small businesses. I have been a delegate at African summit on Entrepreneurship and Innovation (ASENTI) SINCE 2014. I have also been a delegate to the 1st AFRICAN E˗COMMERCE WEEK by UNCTAD held at the UN Offices in Nairobi which was a remarkable experience. In 2018 I got an award for being a great sponsor to youth empowerment activities. My company sponsored this year’s House of legacy Awards, an event recognizing and celebrating youth talents in fashion, entertainment and entrepreneurship. I am also a member of Ideal Democratic and Economic Party (IDEP) a newly formed political party by youth in Kenya. Adeshina Adewumi is the co-founder/COO of Proville, a Nigerian based and Africa’s fast growing technology company providing business solutions for companies to hire and professionals to work across multiple sectors in Africa. In this interview with Alaba Ayinuola of Business Africa Online, he sheds more light on how his company is bridging the unemployment and underemployment gap by connecting professionals and businesses online. And it’s target to have onboarded over 1 million paying users on the platform by year 2023. Excerpts. Alaba: Kindly tell us about Proville and the gap its filling. Adeshina: Proville is filling the supply demand gap that exists between professionals and those that need their services. This is one of the leading causes of high rate of unemployment and underemployment in Africa. Toke (business owner) is in Kaduna and needs Ken (web developer) but they do not know each other and with no available platform for them to connect or engage further. Adeshina: Our startup capital was from our visionaries, we have raised over $300,000 seed funding for the business. Adeshina: Challenges are normal especially within the tech ecosystem such as Nigeria and so also are the opportunities. Some of the challenges we have faced is acceptance, freelancing online service platform is relatively new in Nigeria and so a bit slow when compared to our projected growth. We are however happy to be one of the few pioneers in Africa starting with the Nigerian market. Alaba: What’s the future for your business and what steps are you taking in achieving them? Adeshina: The Future of the business is to maximize the Nigerian market and spread across Africa quickly over the next 2 to 3 years. Our 5 year target is to onboard over 1 million paying users on our platform by year 2023. We are intensifying collaborations, partnership and marketing to achieve this goal. Adeshina: Unemployment and Underemployment is one of the leading causes of various social vices in Africa. If this can be tamed, then we can be sure of rapid growth and development. Our solution also dissolves border issues; there is no need to travel to Ghana in search of work. My potential employer can simply locate me via the Proville platform and assign task for me to complete here in Nigeria. This would boost the Gross Domestic Product of all user nations across Africa. Adeshina: Africa is growing pretty fast, though still below expectation given the resources and potentials we have as a continent. Gone are the days when Africa took the back seat and expected to be spoon fed. Africa is gradually taking the lead in terms of accelerate growth, innovation and development. There is however the need to unify the process, this is why I commend the efforts of the Egypt government under the leadership of HE. Abdel Fattah el-Sisi for some of the initiatives to foster youth engagement, unity and leadership development within the region through the African Presidential Leadership Program (APLP) which would see over 1,000 young African leaders trained and fully equipped towards providing implementable solution in their home countries. Alaba: What advice would you give prospecting entrepreneurs who intend to start a business or invest in Africa? Adeshina: Africa is blessed with challenges and so are the opportunities. My advice would be to entrepreneurs to research the market well before entering. Talk to your potential users and understand their needs. This is the basic first step all entrepreneurs need to take before even developing a solution to meet the need. Alaba: How do you feel as an African entrepreneur? Adeshina: I feel unique as an African entrepreneur, you may wonder why? As an African entrepreneur, you can succeed in any continent across the world. The business environment is tough in Africa and this brings out the creativity within you. That mindset makes you see opportunities where others see problems. Adeshina: I love to spend quality time with my family, this sometimes is difficult due to the demands building a startup brings to the table. I however try to find a balance around it. I am a huge fan of John C Maxwell books because I believe everything rises and falls on leadership. I however read books from other authors such as Dr Sam Adeyemi, Yemi Davids, George Samuel Clason among others. I strongly believe in the reading culture for continuous growth and development. Alaba: Please teach us one word in your home language and your favorite local dish? Adeshina: The one word would be Emabinu which when translated to English means I’m sorry. I picked this as this is one word every leader must be able to use appropriately. As regards my favourite dish, I am a fan of pounded yam any day anytime. Alaba: What’s your favorite holiday spot in your country? Why? Adeshina: My favourite holiday spot is Ilesha as it gives you quick access to natural springs and resorts such as the Ikogosi, Erin-Ijesha waterfall among others. It’s good place to relax. Adeshina Adewumi has a passion to help businesses grow. As someone who has defied all odds and environmental limitations, Adeshina’s commitment is to inspire, build and coach entrepreneurs to build profitable sustainable ventures. Adeshina has seven years of experience in the private sector and social entrepreneurship where he has actively engaged in operations, youth development, business processes and entrepreneurship advisory. He earned a Bachelor’s degree in Accounting from Bowen University Iwo, Nigeria which he completed with a first class honors. He also received certifications in Entrepreneurship (sponsored by Sterling Bank Plc) from Enterprise Development Center, Pan-Atlantic University Nigeria. He has shown commitment in driving positive change, promoting sustainable development goals and capacity development of youths and women in Nigeria through various entrepreneurship and mentorship programs (Regalo Masterclass, Proville and RLM Foundation) he coordinates and Co-founded. Adeshina is the COO at Proville and Co-founder of other Startups including but not limited to One Kiosk Africa and Regalo Kitchen and Confectionery Limited. He holds membership with various institutes and associations among which include but not limited to the Nigerian Institute of Management (NIM), Information System Audit and Control Association (ISACA), Association of Accounting Technicians (AAT), Institute of Management Consultants, Institute of Business Diplomacy and Financial Management, Royal Society of Arts UK (FRSA) and Young African Leaders Initiative (YALI). Onaopemipo ‘Pepo’ Dara is the CEO at Doja Culinary, a catering, training and food delivery company and Lux Gifts and Crafts, a personalized gifting service. She has an MBA from Lagos Business School (LBS) and recently concluded the African Women Entrepreneurship Cooperative with the Center for Global Enterprise. In this interview with Alaba Ayinuola of Business Africa Online, Pepo talks about her brand Doja Culinary, how it’s filling the skills gaps through trainings and creating employment and her plans to have up to 3 physical locations in Nigeria. Excerpt. Alaba: Kindly tell us about Doja Culinary and the role you play? Onaopemipo: Doja Culinary Company is a Catering, Food delivery and Training company that specializes in Finger foods, African and Continental dishes, Barbecue and Cocktails. We love creating dishes with hand-selected ingredients, beautiful interpretations of indigenous and continental dishes and beverages, custom made to your taste, event, guests, company and preferences. We are also into social venture #OneByOne that partners with existing NGOs to raise awareness, donations and volunteers for causes and projects especially in Youth Empowerment, Girl Child Education and Poverty Alleviation. Onaopemipo: I had no startup capital. My savings were tied in another business and the timing was right to start the business. I started in my home kitchen, so that helped save on utilities and equipment. My first order was worth N10,000, after delivery I saved whatever was left over after each order. When I saved enough, I would buy the things we needed according to priority. I had to be very frugal and didn’t pay myself a salary for the first year and a half. Onaopemipo: Challenges come in different shapes and forms and you have to roll with the punches. I can categorize the challenges into 2 major categories: Staffing and Logistics. Staffing: The food industry globally has relatively high employee turnover rates as high as 60% and culinary jobs are typically deemed as transitional jobs that you do for a short while as a means to an end – the end being another job. The case in Nigeria in particular is dire as there are not many culinary professionals for hire. You have to hire blue collar workers and train them yourselves. Professional Chefs’ remuneration is way above the budget of an SME. We try our best to have pools of temp staffing options and often use ad-hoc staff. There are informal temp staffing agencies with staff that are experienced in the food service industry. We also depend on referrals of former and current staff with satisfactory records to recommend potential staff. We then train the staff to our quality levels. Even if they do not work with us for long or full time, it is one more person with basic food, health and safety training in circulation. Logistics: This we can blame on the lack of infrastructure in Nigeria, so seemingly basic tasks like transportation, courier/delivery services, telephone and internet communication as well as any tasks involving basic amenities like electricity or water can put a lot of strain, require a lot of planning and contingency budgets. We deal with this by planning, planning, planning. You have to have plans A to Z and foresee several scenarios and ways in which your plans might fall through. For example if you are going to be cooking at a venue for a client, even if the venue claims to have water, we often would take our water along just in case. For logistics we have multiple dispatch companies in our contacts, as well as local cab and bike drivers, our staff might also need to step in and make deliveries in person sometimes. You just have to anticipate and be ready to make last minute decisions to solve issues as they come. You have to know your market and industry intimately. The Nigerian market is very peculiar and is often not as straightforward as global markets or business textbooks. So don’t be surprised if a middle income target market exhibit buying preferences like high income earners and vice versa in your particular sector. Never make the same mistake twice. Failures and set backs are opportunities to grow, and they will occur in their numbers. Reputation is important, make sure that even in event of setbacks, you are known for coming up with resolutions as best as you can, going above and beyond for clients. Onaopemipo: One of our 5 year goals is that we hope to have up to 3 physical locations in Nigeria. We are doing a lot of planning and research to find the best way to create value in this space. We are also training and in discuss with industry mentors to see where our skill gaps lie and the best way to fill them. Onaopemipo: We are contributing by filling skills gaps through trainings and creating employment. We hope to contribute more by creating competitive concepts that add to the existing food value chain. We also contribute through our social venture #OneByOne: we have partnered with 3 NGOs since 2016, 7 projects with over 2,700 beneficiaries since inception. Alaba: What’s your view on the development of Africa’s business ecosystem? Onaopemipo: The African Business Ecosystem is so dynamic and has so much potential. It has grown a lot in recent times but we have barely scratched the surface. We have grown from focus on creating businesses out of necessity for survival to creating businesses to solve problems and create value. I think as we lean into fostering co-creation and collaborations, breaking gender, ethnic, and geographical boundaries, we will tap into a new level of growth for the ecosystem. Onaopemipo: Inspiration comes from various sources and from the little things – family, experiences, memories, people you meet, other businesses, books, television etc. My faith as a Christian is also a big source of inspiration and a way to meditate and recharge. When I find myself low on inspiration or motivation, I turn taking a break to recharge, spending time with friends and family, spending time with fellow entrepreneurs or entrepreneurs who have achieved what you plan to in the short or long term, my social media – I follow a lot of business publications and influencers, inspirational people and accounts based on my hobbies, interest and aspirations. Onaopemipo: I love hanging out with family or catching up with friends over foods and drinks at home. Once in a while I find something new and adventurous to do, a break from my normal routine from traveling or hiking to attending social events. I also love a good book or movie. Sleep! I love a good nap. Business can be physically and mentally draining and sometimes you trade off on nights of sleep to meet up with deadlines, so when its time to recharge, nothing better than sleeping and waking up refreshed. I try to read wide and I am often curious about an array of topics. I read fiction and non-fiction. I particularly like Christian fiction, I recently read Ted Dekker’s Adam and Francine River’s Masterpiece. My favourite non-fiction of 2019 is Steven Levitt’s Freaknomics. It was an amazing read I plan to read again. I also recommend Gbolahan Fagbure’s Working on a Dream and Ibukun Awosika’s Girl Entrepreneurs for the African Entrepreneur. Onaopemipo ‘Pepo’ Dara has worked in different sectors including fashion, management consulting, culinary, public service and NGOs. Pepo currently runs Doja Culinary (@dojaculinary), a catering, training and food delivery company and Lux Gifts and Crafts (@luxgiftsncrafts), a personalized gifting service. 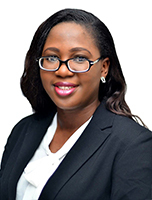 She has an MBA from Lagos Business School (LBS) and recently concluded the African Women Entrepreneurship Cooperative with the Center for Global Enterprise. When she takes time off, you can find her deep inside a book, spending time with loved ones or ‘pretending’ to be an adventurer. Kemi Ayinde is the Chief Executive Officer at Healthpoint and a startup engineer promoting inclusion health in Africa. She feels hurt and crushed for every human being that dies of common ailments like malaria. But believes everyone from every class of life deserves easy access to quality healthcare, so more lives should be saved, and life expectancy should be on the increase. 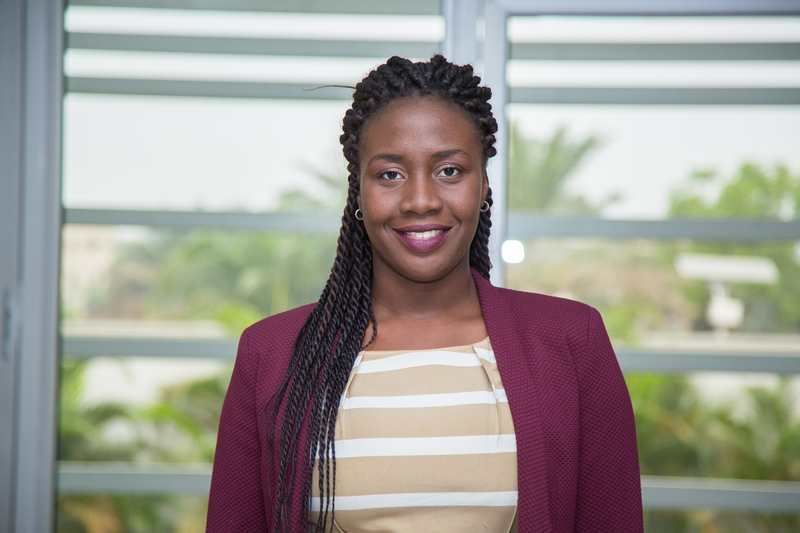 In this exclusive interview with Alaba Ayinuola of Business Africa Online, Kemi shares how her startup is providing health financial intermediation, promoting and achieving Health Inclusiveness in Nigeria and Africa as a whole with some of their CSR projects. Excerpt. Alaba: Kindly tell us about Healthpoint, the gap it is filling and the strategic role you play? Kemi: Healthpoint is a holistic health management solution aimed at promoting universal health coverage in Nigeria, Africa and the world at large. We are a health tech startup providing telehealth and health insurance plans at affordable monthly subscriptions. Healthpoint is propelled towards achieving global health inclusiveness by making healthcare most easily accessible to everyone; whether young or old, male or female, sick or healthy; regardless of their socio-economic status. Our goal is to ensure that every human being has easy access to healthcare and medical attention when needed in such a way as not to deplete their finances. People should be able to access vaccinations, preventive care, medical treatment, medical advice, health tips, updates and information relevant to their lives and environment. Our mission is to reduce to the barest minimum every excuse to being unable to access quality healthcare in our society. With this, we would achieve reduced mortality rate, and increase life expectancy. One of our core solutions is health financial intermediation wherein we buy bulk health cover plans from HMOs and Health insurance underwriters and offer them to people at very affordable monthly subscription fees. Alaba: What is your startup capital and how were you able to raise it? Kemi: We are only a few months old and we needed to perfect our product and market fit which we have done successfully. We are at a point where we are ready to scale and are open to investment from venture capitalists and other investors. We have since been running on our personal seed capital. 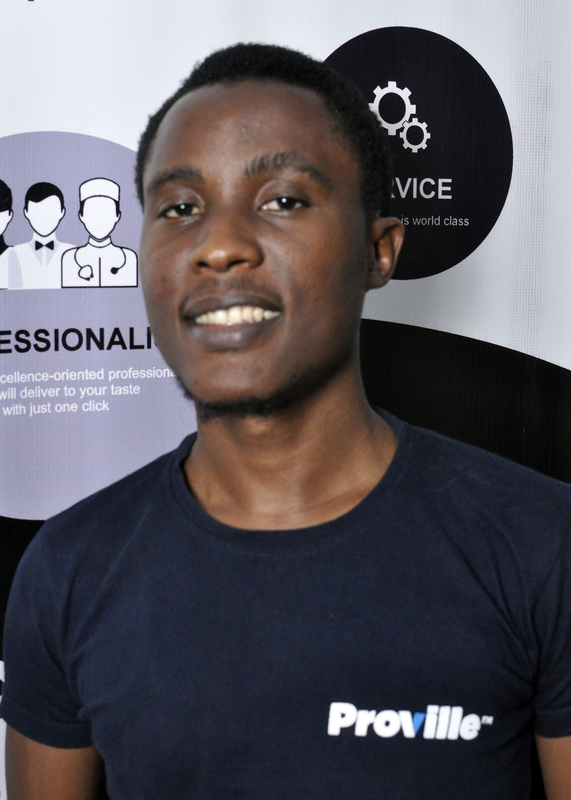 Alaba: How is Healthpoint different from other Health Startups in Africa? Kemi: Healthpoint is born out of the passion and the calling to make healthcare most easily accessible to everyone, young or old, rich or poor. We not only provide telehealth solutions to bring healthcare right in your fingertips, but we also do financial intermediation for people and organizations who wish to acquire health cover plans for themselves, their families, and their teams but do not have the funds to, by buying these health plans in bulk and providing it to them at affordable monthly rates that are very friendly to their pockets and work well with their cash flows. Alaba: What are the challenges, competitions and how are you overcoming them? Kemi: The health needs in Nigeria alone is very huge and can very much accommodate and absorb every innovative and relevant health solutions so I believe we have a very large market and we would very much welcome every contribution towards achieving universal health coverage for Africa. Alaba: What’s the future for Healthpoint and what steps are you taking in achieving them? Kemi: Like I mentioned earlier, Healthpoint is aimed at promoting and achieving Health Inclusiveness in Nigeria and Africa as a whole. So we are looking forward to a point where we implement our innovative healthcare and health finance solutions that accommodates everyone from all social strata across the African continent to be able to easily access healthcare without having to deal with financial risks as a result. We are a team of very innovative, creative young and vibrant minds that are dedicated and committed to actualizing our goals and objectives per time. We are a tech savvy and proactive team that rides on technology to drive our goals and vision with no holds barred. Alaba: How is your business contributing to the development of Africa health ecosystem? Kemi: The African health ecosystem is very vast and still green, and so we have very huge plans to impact the health space significantly with different activities and solutions. We run an annual program that provides Free Health Insurance Cover for Widows, Orphans and less privileged every year. This year, our beneficiaries sprang from four orphanage and vulnerable children care homes as well as widows in Nigeria. Healthpoint is providing them free health insurance cover for a period of one year to cater for their medical consultations, treatments, tests, prescriptions and drugs and so much more. When we listened to their stories and saw how difficult it was for them to afford healthcare, it was very touching and they were indeed very grateful that Healthpoint could think of something as this to help them with. Alaba: What advice would you give potential entrepreneurs who intend to start a business or invest in Africa? Kemi: For budding entrepreneurs in Africa, I would say always maintain the passion, close your ears to all negatives, keep moving like a train, trust God and above all, let the vision keep driving you until you get to that point where you’ve always dream of. Africa is a hub of emerging markets waiting for you to pilot. Kemi: Being an African entrepreneur for me is a huge privilege that avails me the opportunity to contribute in solving some of Africa’s biggest challenges across different sectors of modern day living. It is a somewhat challenging business environment, but if I remain determined and very passionate about my overall goal, I am convinced that my impact will be felt and recognized in the African emerging markets. Kemi: The saying is true that “all work and no play make Jack a dull boy”. As hardworking as I am, I am also a fun loving person and I particularly enjoy travelling and going for vacations. I love to listen to inspiring music and watch some comedy once a while. Most of all, I enjoy being home with family. It is very fulfilling for me.